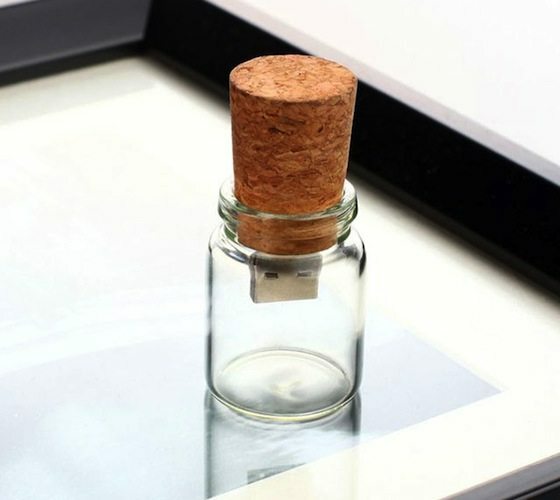 Unique design with glass bottle and cork topLightweight and compact in size Store your memories in this little bottle 4GB capacity enables you to store whatever useful information you want,and take it wherever you go. Get all old-fashioned and send the person you love a message in a bottle. But do it the modern way – with a USB flash drive.